Solange | Tap into the Fabulous you!!! 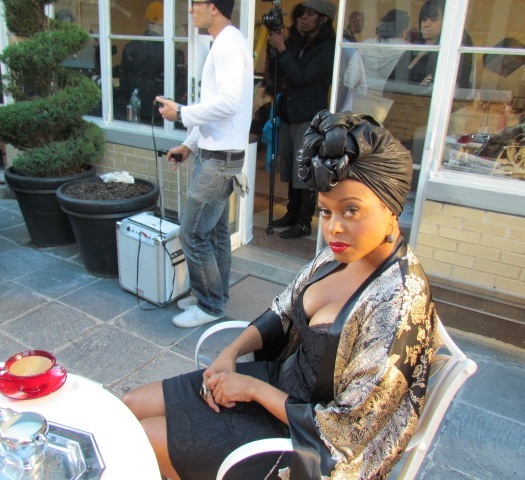 Tradition, Remixed: The New Gele? Some call them Turbans, some call them Headwraps or Headties …whatever you want to call them, this trend seems to be the new thing. 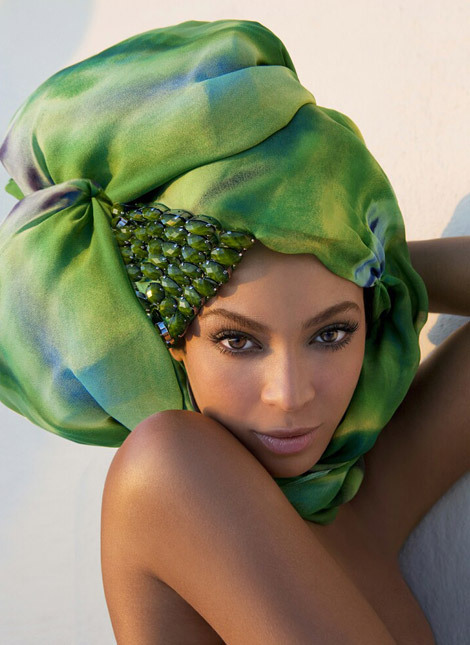 Turbans take inspiration from traditional Nigerian culture, in which a Gele is worn to complete a woman’s traditional attire. 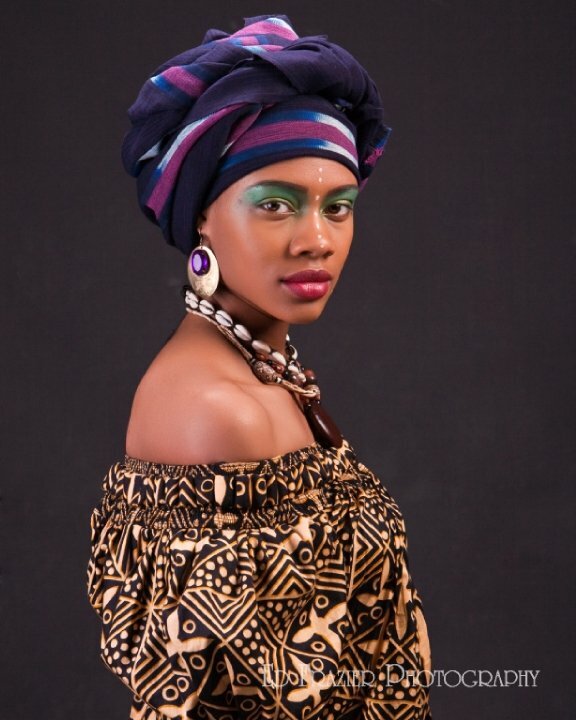 Geles are headwraps created by tying a long and wide fabric (usually fabric with body, like Aso oke or Damask) around a lady’s head, to create an amazing piece of art. When I have on a Gele I feel regal. They bring focus to the eyes and the facial structure of the face, because traditionally all your hair should be covered with the headwrap. 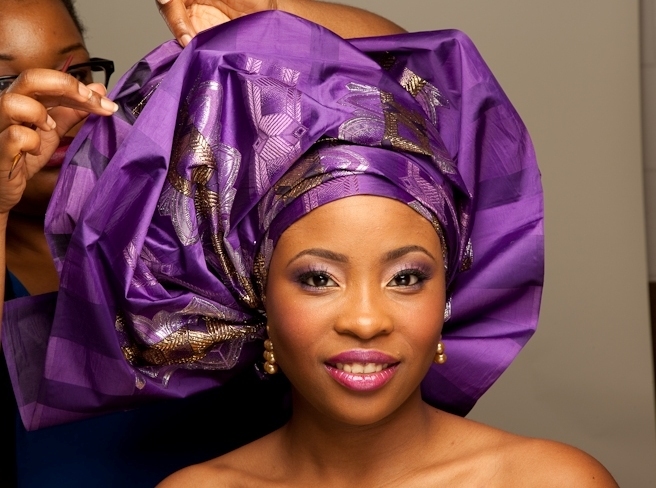 In the image below, I am in the process of tying a Gele for the beautiful Ashlee. I used my Graftobian foundation Palette to find her perfect match. Feel free to use whatever concealer, foundation and powder that works best on your skin type. My next entry will be about Eyebrows and Glasses! !